Siemens has been chosen by the US Department of Transportation (USDOT) to provide vehicle-to-infrastructure (V2I) technology for a new connected vehicle pilot project. Siemens V2I technology will enable vehicles and pedestrians to communicate with traffic infrastructure like intersections and traffic lights in real-time to reduce congestion specifically during peak rush hour in downtown Tampa. The technology will also help improve safety and reduce greenhouse gas emissions. This is one of three projects funded by the USDOT to pilot next-generation technology in infrastructure and vehicles that can impact unimpaired vehicle crashes, which make up 80% of the crashes on the road. - Probe-enabled traffic monitoring to transmit real-time traffic data between vehicles. The connected vehicle systems are able to communicate with both new and older vehicles through new in-vehicle technology, an on-board unit such as a satellite radio, or a smart phone application. 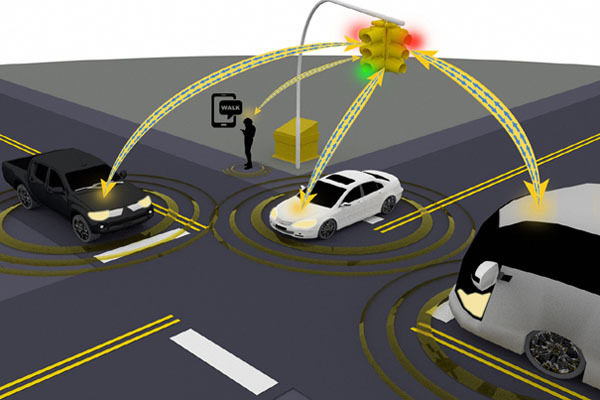 This project will help the USDOT develop the technology, data and baselines to be fully compatible with crash avoidance systems of new cars beginning in the 2017 model year.